Goleta, CA -- November 18, 2010 -- The only board sports triathlon in the world, the Ultimate Boarder® Championship announced the dates and locations for its 2011 competition today. The 4th annual week-long event will take place April 2 - 9, 2011 and has moved to all-California locations, returning to Seaside Reef in Cardiff for the surfing segment, and partnering for the first time with Mammoth Mountain and the San Diego Sports Arena for the snowboarding and skateboarding events, respectively. "Snowboarding in Mammoth has drawn so much influence from skating and surfing in Southern California that Ultimate Boarder is a perfect fit," said Josh Chauvet, Action Sports Brand Manager at Mammoth Mountain. Moving this year to an invitational format for solo entrants, Ultimate Boarder® 2011 will also showcase action sports brand teams and youth teams as they battle to dominate each of the three categories of surfing, skateboarding and snowboarding. The individual who scores highest across the three disciplines will win the first place prize of $30,000 and the title of 2011 Ultimate Boarder® Champion. Chad Shelter took a repeat win at the 3rd Annual Ultimate Boarder event. The contest combines surfing, skateboarding and snowboarding and announced it's winners in Reno, Nevada this weekend. Surfer Mike Morrisey shares the win with Chad with an overall points tie. In the team competition, Team Hosoi takes home their second repeat win. Check out http://www.ultimateboarder.com/ for more info. ﻿ ﻿ "We are looking for the one athlete in the world that can conquer all three board sports and truly rise above the rest," said Ultimate Boarder® founder and CEO Tim Hoover. "The physical and mental discipline it takes to be good at even one of these sports is incredible, and to be competitive in all three is especially amazing. I'm excited about our new partnerships with Mammoth Mountain and the San Diego Sports Arena, as well as to be returning to Seaside Reef. We're bringing the athletes to premiere locations, and we look forward to another year of celebrating the impact, skill and beauty defined by these board sports." A premiere event designed to test the mettle of professional and amateur athletes alike, Ultimate Boarder® entrants will compete head to head in three categories: surfing, skateboarding and snowboarding. Ultimate Boarder® heads to Mammoth Mountain resort in Mammoth Lakes, California on April 2 for the snowboarding segment of the contest. Competitors will then go to legendary Seaside Reef in Cardiff, California April 4 - 8th. 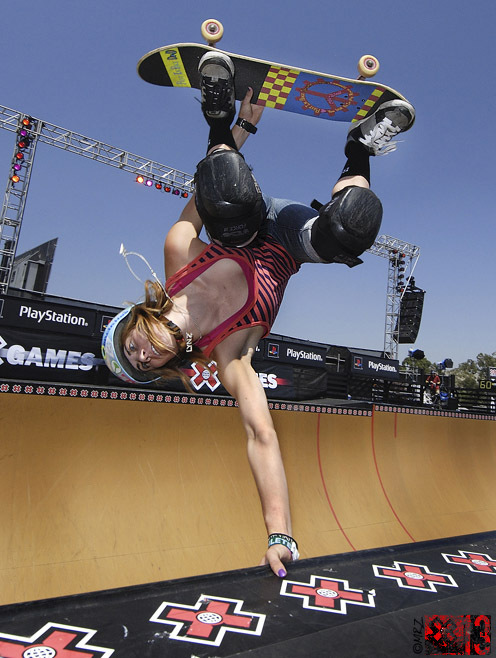 Taking place at the San Diego Sports Arena on April 9th, the skate final will pit athletes against the custom-designed Ultimate Boarder® skate ramp. That evening, winners will be announced and prizes awarded, and fans will be treated to a major music act in the 12,000+-seat arena. Conceived in 2005 by Tim Hoover, an award-winning filmmaker with over 15 years' experience in the entertainment industry who grew up surfing and skateboarding in Goleta, California, the Ultimate Boarder® Championship brings together the world's best surfers, skaters and snowboarders for the grueling one-week series every year. Board sports were a positive energy outlet for Hoover as a teen, and he is committed to promoting an active and healthy lifestyle for young people. Past high profile athletes who have competed for the sought-after title of Ultimate Boarder® Champion include 2010 Co-Champions skateboarder Chad Shetler and surfer Mike Morrissey, as well as Tom Curren, Bjorn Leines, Christian Hosoi, Rob Machado, Shayne Pospisil, Todd Richards, Andy Macdonald, Tosh Townend, Aaron Astorga and Steve Caballero. The event has been broadcast or featured on MTV2, FUEL TV, FOX Sports, Comcast SportsNet, ESPN online, New York Times, Surfing Magazine, Allisports and more. SanDisk Corporation returns as a major sponsor for the second year in a row. Broadcast partners, major musical act and additional sponsors for the 2011 Ultimate Boarder® will be announced next month. Ultimate Boarder® is a one-week competition to find the athlete who can conquer the art of surfing, skateboarding and snowboarding. Ultimate Boarder® was created in response to the growing popularity of these sports, and as a way to promote healthy athletic lifestyles among young athletes in a positive and competitive environment that grooms role models and heroes for our country's next generation. Visit our Facebook fan page at UBFanPage and follow us on Twitter @UltimateBoarder. For event details, please visit www.ultimateboarder.com. Mammoth Mountain Ski Area is the leading four-season mountain resort in California. With 1.3 million annual skier visits, Mammoth Mountain is currently the third most frequented ski resort in the United States. The company owns and operates a variety of resort businesses including recreation, hospitality, real estate development, food and beverage and retail. Specific businesses owned and operated by Mammoth Mountain include Mammoth Mountain Ski Area, June Mountain, Tamarack Lodge and Resort, Mammoth Snowmobile Adventures, Mammoth Mountain Bike Park and the Mammoth Mountain Inn. Mammoth Mountain also operates Juniper Springs Resort, the Village Lodge and Sierra Star Golf Course in Mammoth Lakes, California. For more information on Mammoth Mountain, visit MammothMountain.com or call 800.MAMMOTH.